Our family has been eating more gluten free recipes for few months now and one of the staple ingredient in our kitchen are potatoes. This Gluten Free Oven Roasted Potatoes Recipe is a great side dish to pair with lamb, beef or pork recipes. This is also perfect side dish for your holiday dinner. 2. 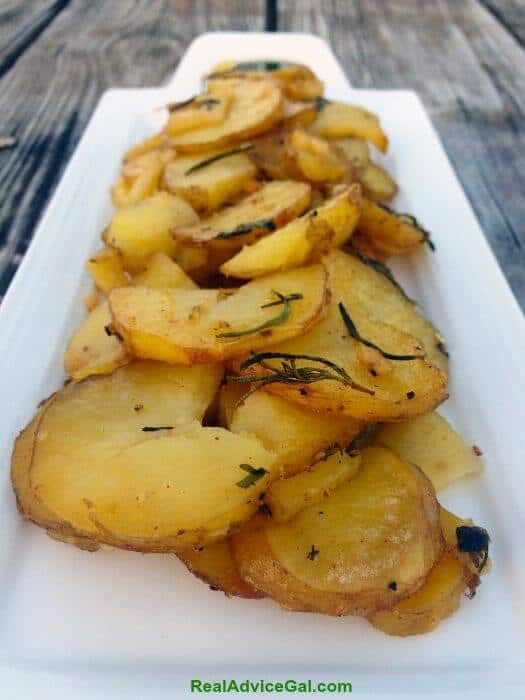 Wash, dry and slice potatoes into bite size wedges. 3. Line a baking sheet with aluminum foil. Using a cooking brush, wipe 2 tbsp. extra virgin olive oil evenly onto foil. 4. 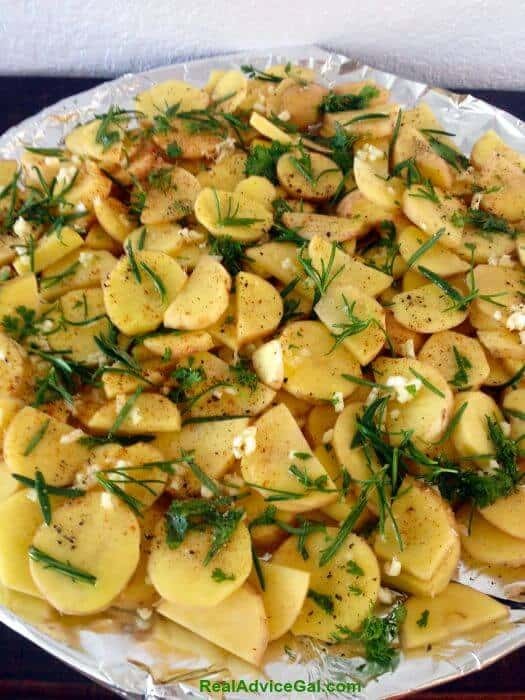 Add potatoes to baking sheet. 5. Add 2 tbsp. 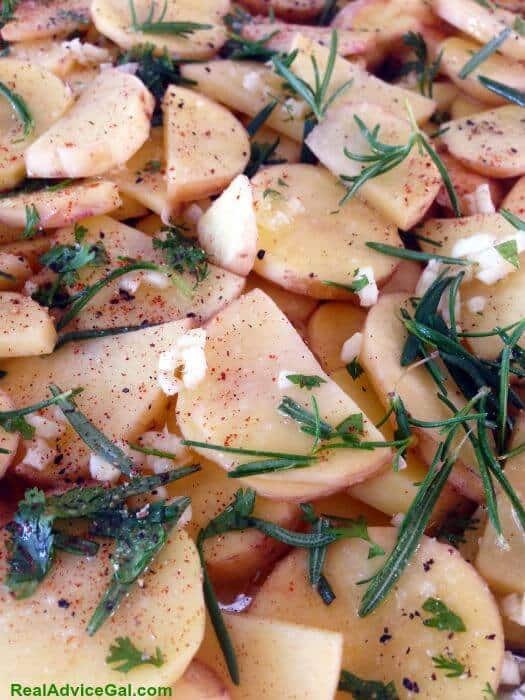 extra virgin olive oil to potatoes. Toss (I recommend using tongs). 6. Wash and dry rosemary and thyme. Chop rosemary, thyme and garlic cloves. 7. Add rosemary, thyme, garlic, cayenne pepper, onion powder, salt and pepper. 8. Squeeze fresh lemon juice over potatoes. Toss. 9. Bake in oven for 45 minutes to 1 hour, or until just crispy. Toss potatoes 2 to 3 during this process. Remove from oven. Serve immediately. Recommended with seasoned Greek yogurt dip. 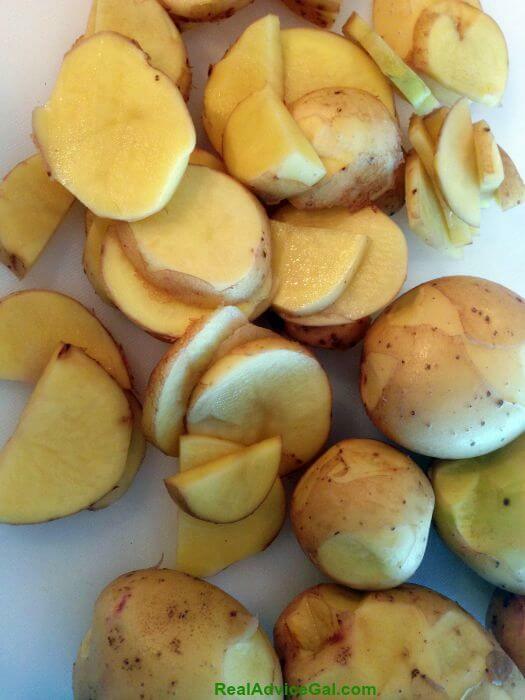 Read and find out if you can eat Sprouting Potatoes?